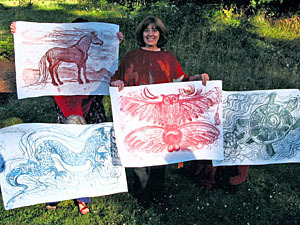 Linda is an artist, educator, writer, poet, storyteller and facilitates Touch Drawing. 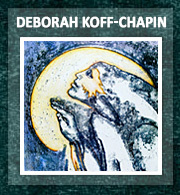 She recently had an exhibition of her drawings, paintings, poetry and stories at the Gallery of the Library of Chatham, Chatham, NJ. 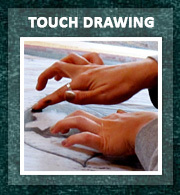 Touch Drawing is a beautiful process. It invites me to draw closer to our Creator; to become an active, receptive, responsive, intuitive partner. 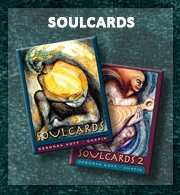 Here is where I can directly explore the mystery underneath creativity and the energy of the soul. While reading Kahlil Gibran, I found a poetic phrase that captures what I feel when I Touch Draw; I touch “the naked body of my dreams”. It is a chance to braille or touch ever so gently something that is elusive, yet so essential; something that seems to be part of the growing edge of the unknown. Painting what I already know interests me less than keying into the river or stream that creates in the movement out of stillness and depth. It’s fun and joyful too!The exhibition included Touch Drawings and other expressions to celebrate the soul, connect to nature and appreciate living life with love as its core purpose. The reception was awesome. A friend played a concert harp, which was beautiful, soft and magical. It was well attended and covered in the local press. The gallery space has meaning for me because I have done storytelling for families ages 3 to 93 there for over a dozen years! This is a cremation fire. It may sound odd, but I was pre-rehearsing my mother’s cremation, and also grieving the loss of my maternal grandmother who died in a fire on her farm many years ago, Nine children were orphaned. I looked at the vessel and it looked at once like a huge heart, a cookie jar, an urn and a chrysalis. The butterfly seemed to come of the crack in the jar. It is green and gold, its very wings drenched in tears of freedom. It is about transformation and change. This one is the resolve, the release of Spirit symbolized by the bird. It is a relative of the Fire of Transformation drawing, and she is dancing and joyful, filled with life. I felt free to draw her without any concerns for ‘correct’ anatomical proportions; just and expression of feeling. I am still wondering what the three upheld fingers mean; three days, three years, three moments, third month? One day at the Touch Drawing the Gathering I did this dragon. Some of the other participants admired it and asked if I had visited the labyrinth yet. I said “Not yet!” They said “You must go, you will like it, especially the center!” So I went and walked it and in the center was a little brass serpentine dragon, sitting in a bed of wilted flowers. My heart filled with wonder, it was so similar to my dragon! The owl has stood for intuitive wisdom, and in this drawing, the owl is carrying a yin/yang symbol of opposites. Seeing into and through our dark places is an important skill for life. The feathers remind me that even when we lose feathers, we can still fly. The sun and moon complete the cosmic energies. I arranged these paintings to create a wall that explored how various colors of the same drawing felt different. The central image, the Autumn moon, is a symbol of the lunar wisdom and part of the cycle. It is a time when questions refuse to go away, and provoke changes and movement through the darker emotions and clay of being. I did this drawing at a workshop, and I was sensing a feminine energy of Buddha. It was a moment of serenity. This is the winged …er …what is that? Frankly, sometimes it is still a mystery. That is why I love this process of creativity. Over time and with new awareness and experiences they reveal themselves. It has to do with breathing, and the cycle of life and death. I went through several years of asthma. Every breath is precious. I like to remember this whenever I take my breathing for granted! I created this image to remember a ceremony and fire-bowl ritual about letting go of agreements that no longer were life affirming and letting go of a loved one. It connects me to the Native American Medicine Wheel. This was one of the very first Touch Drawings I did over 7 years ago, one afternoon on my kitchen table. I put on some music and used the time to explore a process that interested me, with no expectations. 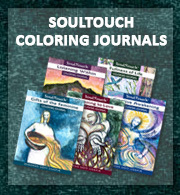 I decided to pray while I was drawing, and all kinds of angels and faces and hands and images of Christ emerged. At his chin was a white flower of dancing flames, and this image changed my life. I have written pages about it. It is about a never-ending love, compassion and peace that is available to us.